500 years ago in 1514, Saffron Walden was granted its Town Charter. To mark the anniversary, themed events were held over the weekend of 10th and 11th May, including an exhibition in the Town Hall. 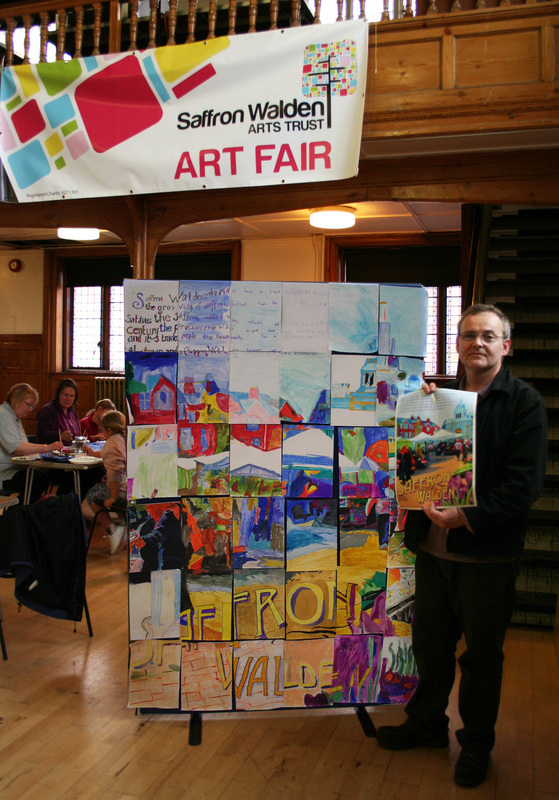 Saffron Walden Arts Trust took a poster of the Market Square by local artist Phil Clements, cut it up into little pieces, and invited visitors to their stand to help themselves to art materials and reproduce one of the fragments on to a larger piece of paper. These pieces were then stuck together to produce a giant version of the original. Phil said: “When Miranda first contacted me and explained what the project was, I was both flattered and apprehensive. Would my slightly abstract style be suited to a montage of different pieces done by many different people? When I arrived at the Town Hall towards the end of the two days I was delighted to see the final result in all its glory. Eager artists, some I understand as young as three, had put a great deal of effort into their small section. Obviously a lot of fun was had by all. 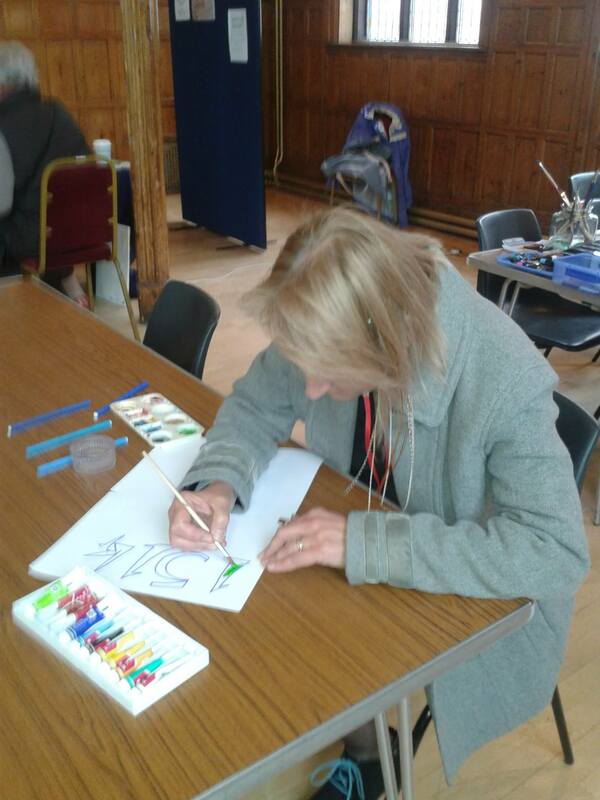 I hope that the contributors are inspired to continue and produce their own pictures of their picturesque home town”.